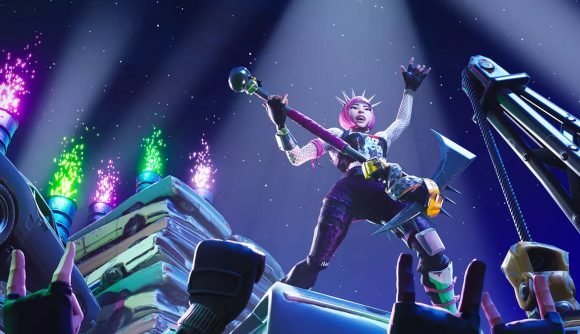 Fortnite’s Creative mode is the closest the battle royale gets to a traditional sandbox experience. Since its release, we’ve seen plenty of impressive community creations, from Game of Thrones’ Castle Black to Star Wars’ Millenium Falcon. But over the past few days, it’s become a very musical place. Creative mode allows players to place proximity-activated musical tiles, each of which plays a different note or makes a different sound. Running past them causes a note to ring out, and stringing several of those together creates a simple tune. Not content with a simple tune, however, Reddit user math2607 put together an entire song. They started out with an impressive electro tune of their own creation, but what’s really caught my attention is their recreation of Undertale’s wonderful Megalovania theme. Layering multiple sets of musical tiles allowed the player to layer together the song’s melody, base line, and even percussion, and using a set of speed boosts enabled them to match the tempo of the boss fight’s chaotic backing track. The post has garnered quite the response from the rest of the subreddit. A brief glance this morning shows takes on Smash Mouth’s ‘All-Star’, the main tunes from Pirates of the Caribbean and Super Smash Bros Ultimate, and even the Discord dial tone. For my money, however, none of them match the original efforts. Elsewhere in Fortnite, it looks like the battle royale might finally be getting a spectator mode, allowing to keep an eye on your friends’ efforts even if you’re not able to join them in a game. We’re also not that far away from the Fortnite Season 8 release date. The new season is likely to arrive late this month, so make sure you secure that Ice King skin while you still can.